The GearWrench 55mm Lock Nut 1/2'' Drive sockets are for most 4WD SUV and light truck axle locknut applications, can be used with a torque wrench, ratchet, or breaker bar and are made of high density steel. The 3912D GearWrench 55mm Lock Nut - 1/2'' Drive is one of thousands of quality tooling products available from MRO Tools. 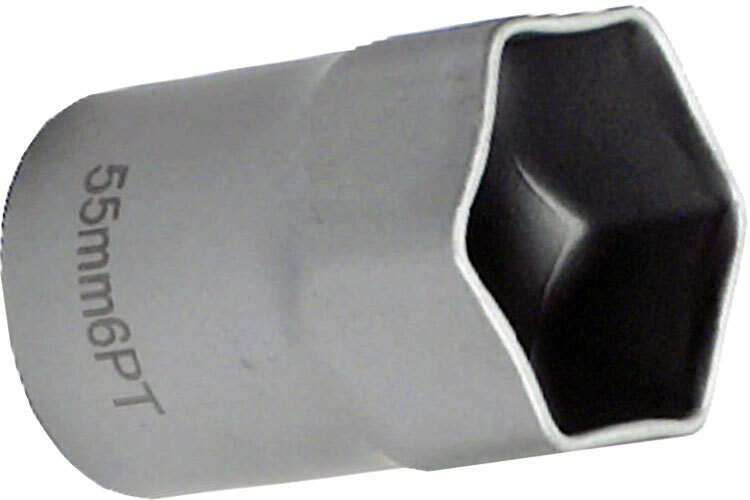 Please browse GearWrench Wheel Tools for tools similar to the 3912D GearWrench 55mm Lock Nut - 1/2'' Drive. 3912D GearWrench 55mm Lock Nut - 1/2'' Drive description summary: GearWrench 55mm lock nut - 1/2'' drive. Quantity discounts may be available for the 3912D GearWrench 55mm Lock Nut - 1/2'' Drive. Please contact MRO Tools for details.